I have recently come back from a few weeks of summer vacation to find scarcely populated student dormitories. Buildings that echoed students coming in and out during the academic year stand now quietly during summer break. Amidst these buildings lie the solemn yet green lawns that provide a necessary escape from the hustle and bustle of student life. And since they are always nicely trimmed and mowed, they are ever so more inviting. The caretaker of these lawns, Peter Thiem, gets to work very early in the morning. Sometimes we hear him mowing the lawns or trimming the tree branches as early as 6:30 AM. 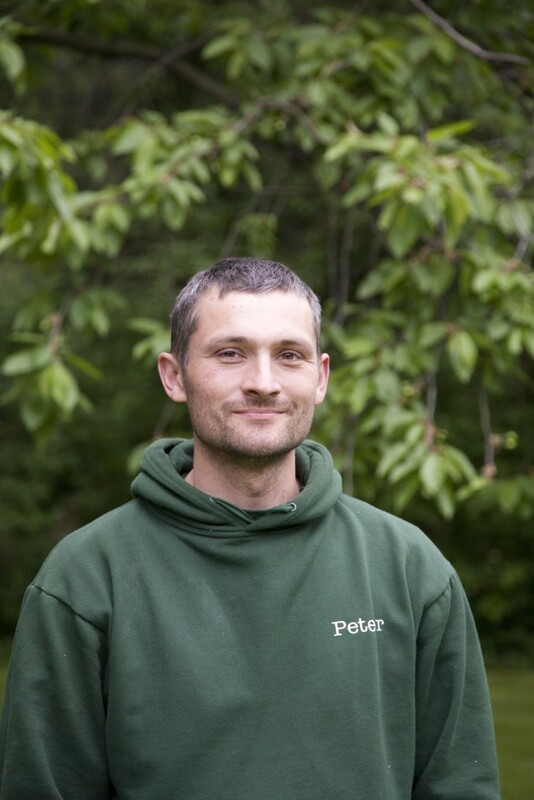 Peter Thiem is ECLA of Bard’s gardener, and also assistant to site manager Lars Köhler. We often see him quietly going about his work, very fastidiously and effectively mowing the lawns, or at times also helping Stefan and the kitchen team in the cafeteria. Many of us have a much unspoken respect for Peter Thiem, and perhaps it is because of his helpful and independent nature. I recently asked Peter about the kitchen garden that he has been preparing. He took me to the back-side of the cafeteria, where a reasonably sized planter is situated. The planter holds a variety of small herbs. Peter had planted garlic, thyme, lemon leaves, and millet. He also showed me rosemary, which was sadly dying. Peter sighed as he showed it to me. One can see the love he has for his plants; they are all like his own children. And for the lovely soup that was served in the cafeteria that day he had planted estragon. Often on rainy spring and summer days, Stefan prepares soups that are served with crispy garlic bread. He sprinkles the soups and the bread with fresh herbs straight from the kitchen garden. Next time when you are wondering where the fresh rosemary came from, you will not be surprised to find out that it is from our very own garden. Peter also informed me that he starts his work at 7:00 AM – and in winters perhaps even earlier. He enjoys working with plants and takes care of them with a lot of love. We often see him walking around Pankow in the afternoons with his black dog and two sons.